"everything is closed after 11pm." ✅ Trip Verified | Has the potential to be the best airport I have ever passed through except for the fact that everything is closed after 11pm. I couldn't find a single restaurant open except for a Starbucks. My flight was at 1am so I ended up eating toast. Depressing. Facilities looks great for daytime travellers though. ✅ Trip Verified | Too many smoking rooms. Smoke is leaking badly outside of the rooms. Should shut them down, or move them to a separate building, or to a remote corner. Indoor air quality is bad. Restrooms are well maintained and crew is constantly keeping them well. Food is good. "nothing opens here before 7am"
✅ Trip Verified | Ok, so this is a nice airport. Very relaxed feel, clean and speedy to travel theough, however be aware, if you are travelling in the early morning, except for Starbucks (which had a 20-25 minute queue at 5:40am), and a few other restaurants, absolutely nothing opens here before 7am! Which for a major international hub, is really poor. There is a McDonalds and a 7-Eleven landside, what use is that? Nowhere to buy magazines or snacks etc airside or not until 7am at least. "a really nice airport to travel to"
Not Verified | Really nice airport. It's clean and quiet. There's clear directional instructions with enough signs showing the way (not too much, not too few). A lot of shops before and after customs, there's also a large variety of shops for food, daily items etc. Great transportation network to the city (Airport Express, buses, taxi and ferry). Connections with different concourses are convenient and with clear instructions. Online website and app MyFlight are really useful. Both have live information about the flight (with notifications). Mobile app also has signage translation in 9 languages and baggage arrival notice. Airport Wifi Service is very quick. Baggage claims are convenient and fast. Custom as well. Overall a really nice airport to travel to. ✅ Trip Verified | Nice equipped airport with shower rooms for free, of course cleanliness was not in doubt. 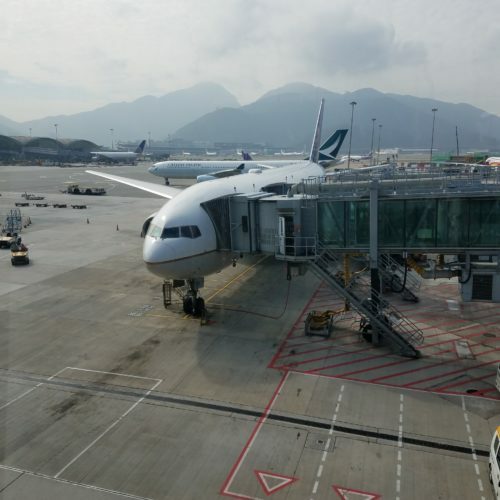 The boarding queues (Cathay Dragon) was in order, even if provided by Cathay Pacific ground staff, with Marco Polo Club Green Card Members in priority. "full mark to the cleanliness"
✅ Trip Verified | I have used Hong Kong airport few times. This time I was transit through (traveling CX business class). Perhaps it was my lucky day but there was no queue at the security screen. Having said that after I finished my security check the queue started to build up so I assume the transit process is "efficient" for first/business class passengers but not to economy. From touch down to be in the CX lounge shower it was only 15 minutes. 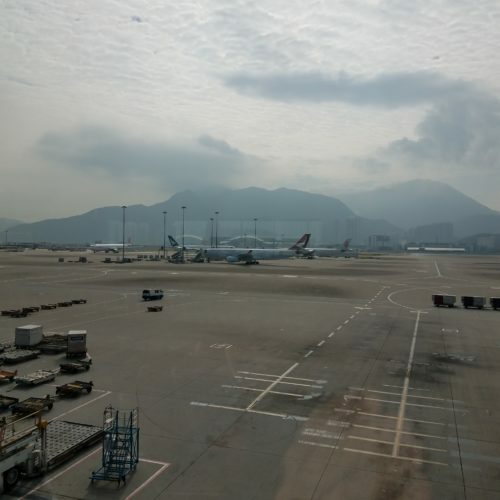 The only thing lacking in Hong Kong airport is the friendliness of the staff. And unlike Singapore there is not much facilities. 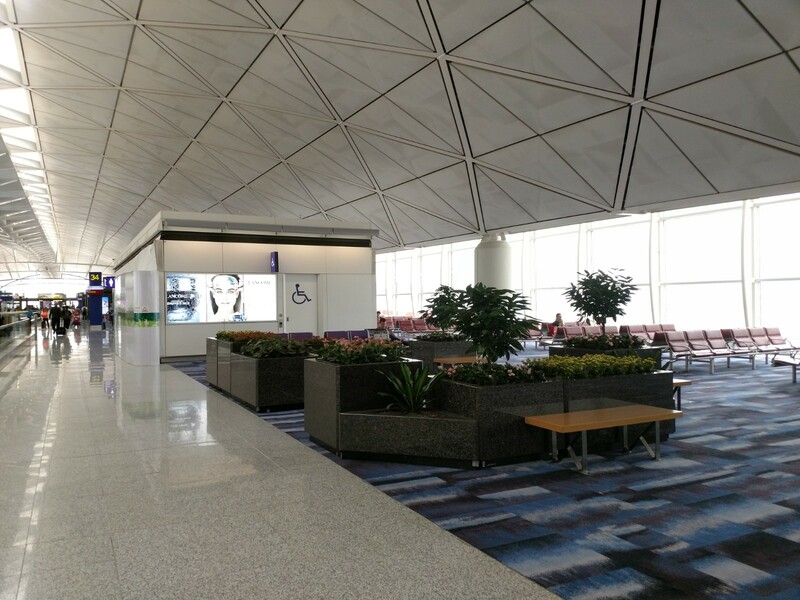 However full mark goes to the cleanliness and the design of the airport. "only have a few staff to assist"
✅ Trip Verified | I'm writing this review for my grandmother who was offered the wheelchair from the plane as she cannot walk long distances. We were waiting for 15 mins post arrival for a wheelchair. A lady with a concierge tag on her shirt checked her boarding pass and said she will get someone to assist us with a wheelchair as she was already assisting someone. A man came with a wheelchair and checked her boarding pass. He walked away saying someone will come back to assist us. I spoke to the flight stewardess informing her of the situation, she told me there was only 1 person assisting 3 wheelchair passengers and she has no way to contact anyone else to assist us. After another 15 mins she informed us that she had already called them. The wheelchair arrived finally after another 10 mins. 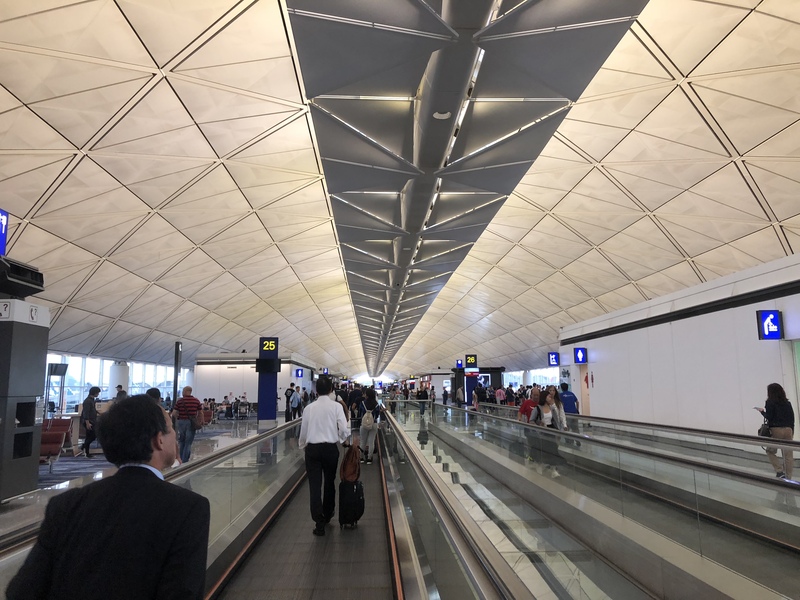 As modern and accessible as the HK airport is why would they only have a few staff to assist all the elderly and people in need of assistance. ✅ Trip Verified | I arrived on an Air Asia AK 136 at around 5:30 pm, wasn't too busy at he time, on Christmas day. The peak being 22nd to early hours of 25th. After pass immigration and waited at belt, there was a significant delay to the delivery of our luggage. (Our plane parked at 205 with aero bridge, not those remote bus gate). The luggage seemed to come in 2 lots, with a good half an hour in between. I was unlucky to be the 2nd lot, meaning I waited more than 45 minutes for my bag. I don't think it's the airline's fault. 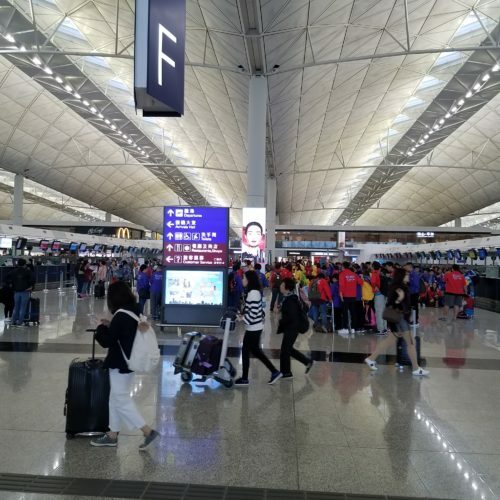 Hong Kong airport has lately suffered from slow luggage delivery, and it seems to be getting worse. I ended up leaving the airport at about 7pm, what a terrible experience! 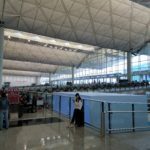 It's a shame , as other aspects of HK airport are some of the best in the world, they need to get serious to address this problem. "poor quality and inefficient service"
✅ Trip Verified | I’m writing from exasperation at the long wait for a wheelchair for my mother, senior citizen, unsteady on her feet and requiring assistance. 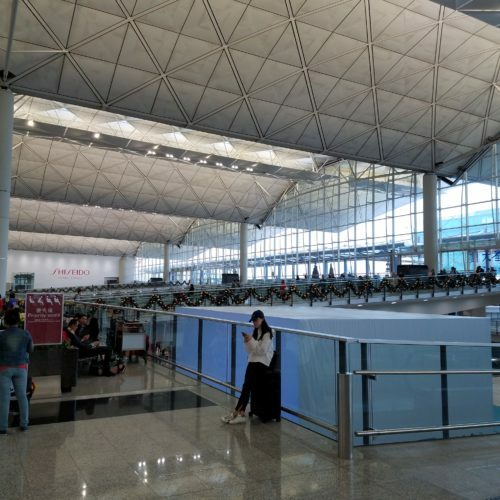 She arrived Hong Kong mid November and waited 40 minutes after aircraft doors opened. Apparently the crew members waited for her, as cleaners and caterers were servicing the aircraft. Today on her return flight, she was informed the wheelchair would arrive at 4.40 pm for a 6 pm departure, and finally arrived 5.20 pm, with a harried and impatient wheelchair assistant. This is unacceptable to pay a high airport tax and receive such poor service on both arrival and departure flights of the same trip. 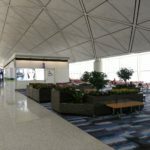 And the reason given by airline ground staff is that Hong Kong airport uses just one wheelchair company for all airlines and its short staffed, so the best they can do at anytime. 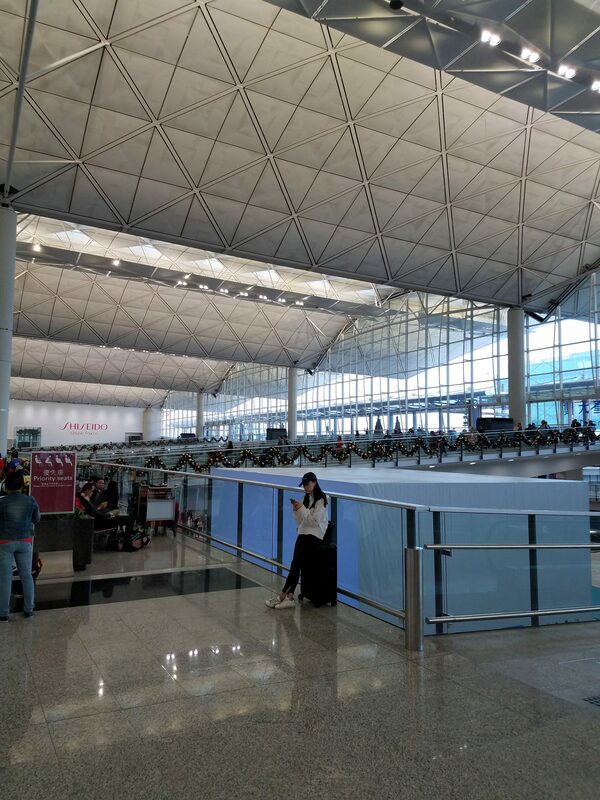 Very disappointed with HK airport authorities for such poor quality and inefficient service! 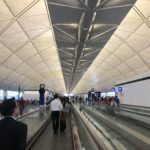 "easily one of the best in the world"
✅ Trip Verified | I can honestly say Hong Kong airport is one of the nicest airports I've ever been through. To be fair, have I been in every major airport on earth? No, of course not, but I have traveled to many airports including LAX, ORD, EWR, LHR, CDG, HND, and so forth. For me HKG is easily one of the best in the world. The coolest thing in my view is the terminal is one huge open space. As in one huge roof that goes on, and not many different sections or terminals you commonly see at older airports. The engineering aspect alone is really fascinating. On top of that, the architecture and aesthetics are quite nice. It's mostly open, bright, and very pleasing to walk around. You very rarely felt claustrophobic in the airport, and the only crowded areas are check-in depending on time of day, and security. For example, the United check in counter wasn't crowded, but United only has 2-3 flights out a day compared to Cebu which is packed with several daily flights to Manila. Meanwhile security and immigration was smooth and quick overall, and it wasn't too crowded on my way in and out. The food and shopping options were quite nice. There were a lot of shops in the main mall before the gates, then another mini-mall with several shops around gate 60. You have many huge brands from Chanel to Calvin Klein if you fancy nice clothes, and the main duty free store was huge with very rare bottles of top notch whiskey and spirits. I bought some fresh tea and cookies on my way out. The only negative about shopping is I didn't find any cliche tourist store. I know it sounds cheesy, but I was hoping to find a mug or model Cathay Pacific plane. Meanwhile the food options are good with some notable fast food brands to local chains. The only negative is I didn't see many bars or food options in between gates, but they had the mini-mall and a food court halfway down the terminal. I can't complain too much, but it would be nice to have a couple options beyond a store when you're in the middle of the gates. Finally, the Wi-Fi was free, and worked well. The best part of the airport is the the train network to the airport is amazing. The high-speed rail is about $14 (USD) to Hong Kong station, and the train runs every 10 minutes. It was fast, and easy to get too when you pass through immigration. On top of that, there are plenty of ATMs to get cash, and they have counters and machines to get your local Octopus card. FYI, the Octopus card is their transport card which is a must-have in Hong Kong for the buses to subway. Finally, the signs are listed well, and it's easy to navigate around the airport. The only point it loses is it needs a bar or two in between gates. Overall this is a top notch airport that provides the necessities well, and gives you tons of shopping and dining options when you have some time to wonder around.